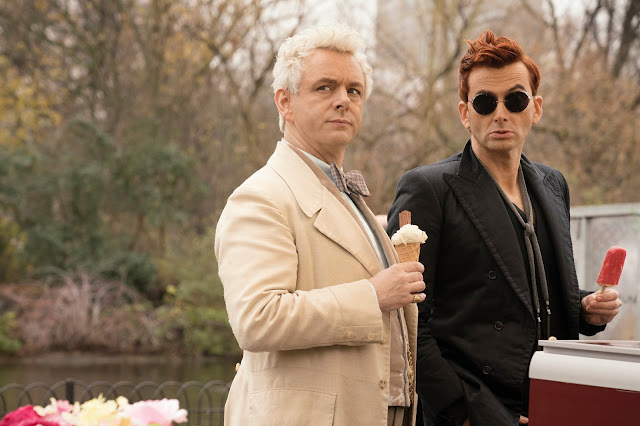 The hotly anticipated adaptation of Good Omens, the 1990 fantasy novel by Terry Pratchett and Neil Gaiman, will launch on Amazon Prime on May 31st. 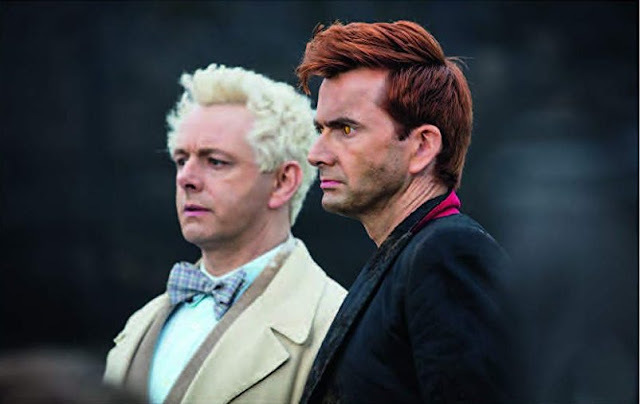 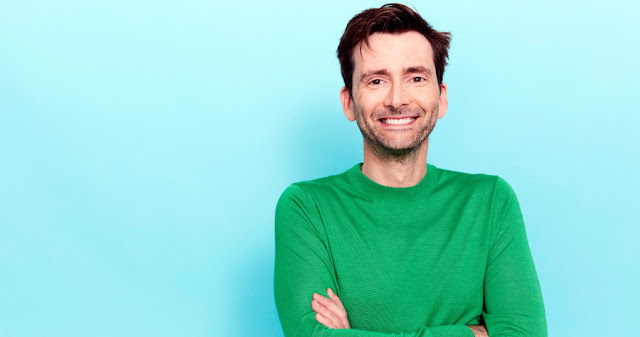 David Tennant stars as fast-living demon Crowley opposite Michael Sheen as fussy angel Aziraphale in the six-part series which was adapted and produced by Gaiman and directed by Douglas Mackinnon. 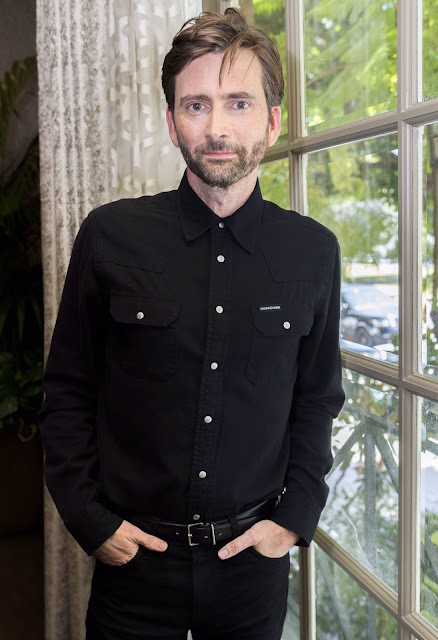 Gaiman made the announcement at the Good Omens panel during the closing day of the Television Critics Association Winter Press Tour in Pasadena, CA. 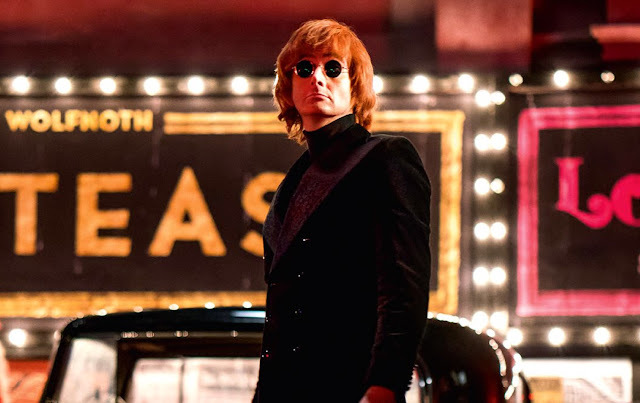 Also in brand new casting news, Neil Gaiman announced tonight that the role of Satan, an animated character, will be voiced by Benedict Cumberbatch. 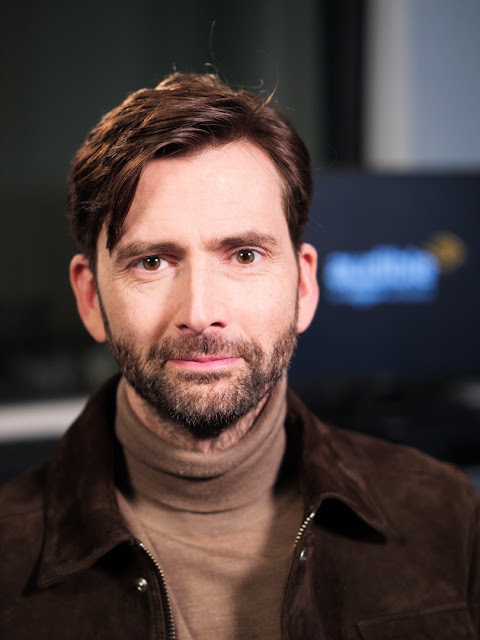 He joins the previously announced Frances McDormand as God. 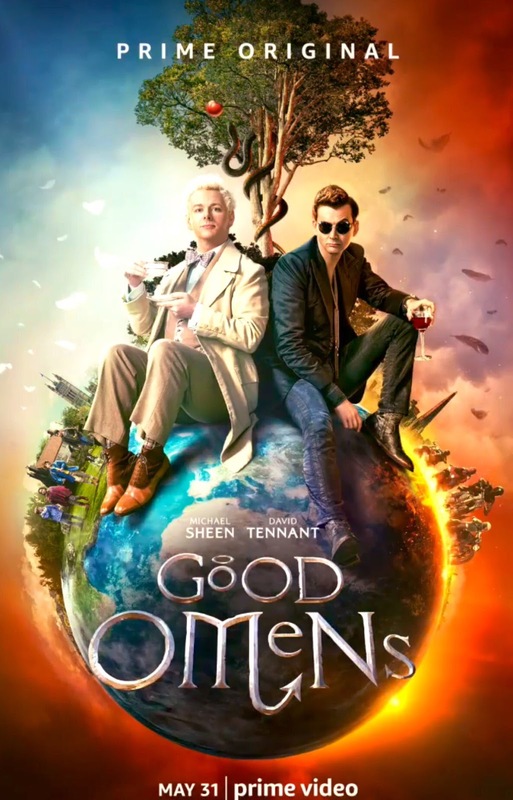 Set in 'a nostalgic present' Good Omens sees the Earth hurtling towards the Apocalypse, with the forces of Heaven and Hell massing for the final battle. However, an angel and a demon who have dwelt among humanity since The Beginning are determined that they won't give up their comfortable existance and form an alliance to stop the world ending. 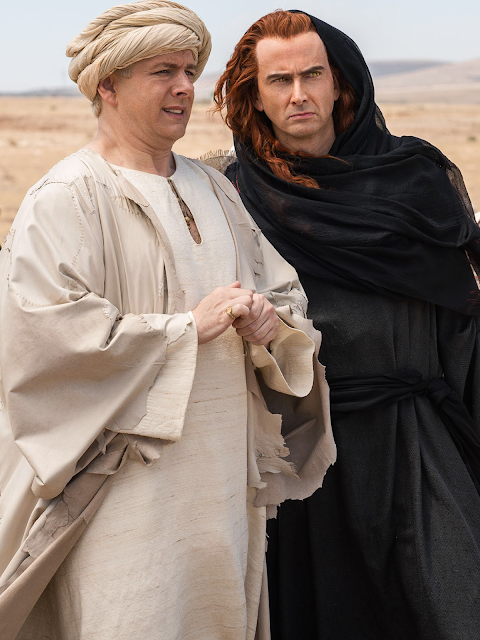 Their plan is to destroy the Antichrist...if only they han't mislaid him. 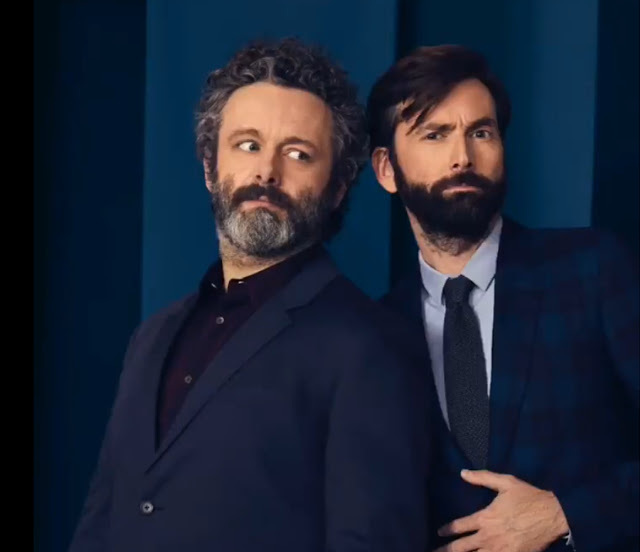 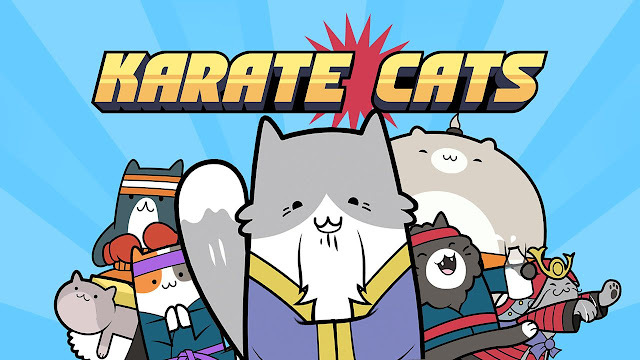 The series also stars Jon Hamm, Miranda Richardson, Adria Arjona, Jack Whitehall, Nina Sonanya, Michael McKean and Josie Lawrence. 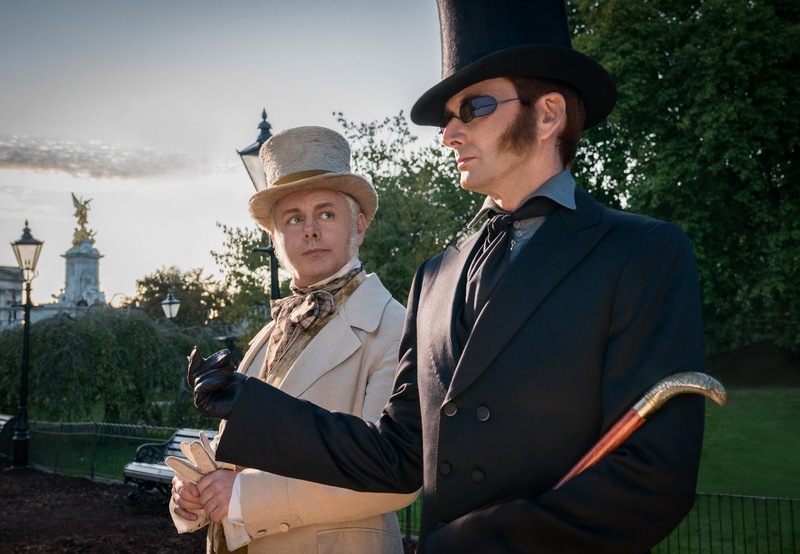 The series will air on BBC Two in the autumn, followed by broadcast on other international networks (details to be announced).